We are navigating the ancient, but civilized European landscape in order to reach and cross the arduous and austere African Continent so that we can bring hope to the hopeless, healing to the broken, and motivate others to dream, to believe, and to do. 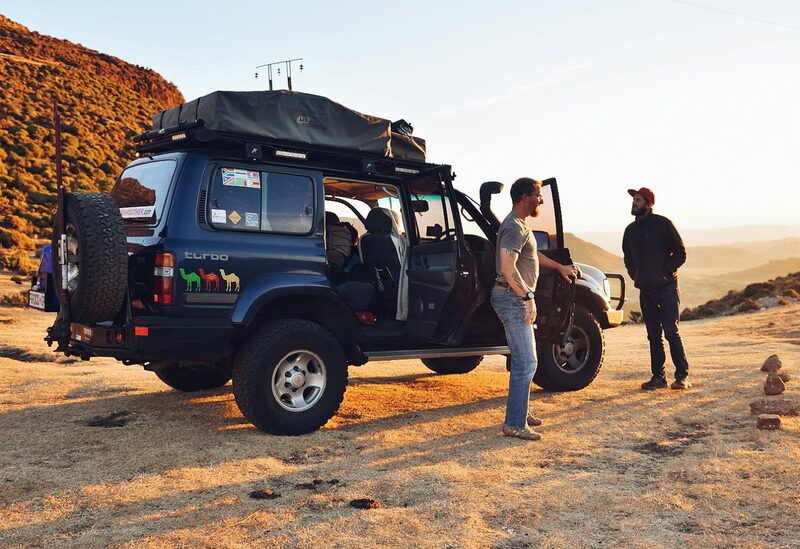 We will travel overland, in a 1997 Toyota Land Cruiser, which will be modified and upgraded to handle the demands of the harsh environment. The goal is to stimulate interest in the charity organizations listed on our site, whom we believe make a positive difference in the lives of the less fortunate, and in the lives of those who have sacrificed so much for us all. Please view our “charities” page to see how these organizations helped me. We are also hoping to show how healing these journeys can be, and I want to take my emotionally wounded brothers from the military on safaris, so they can be in the peace of the bush where they can reconnect with themselves and with God. So we are trying to raise money to give someone the gift of a free African Safari. Their trip would be guided by African Eco Journeys, and each donor has the chance to win their own overland tour. Please visit the “Warrior Safari” page and help. Africa has some of the poorest countries in the world and is filled with people who need hope, and they are exactly who we want to help while on the road. We will have the opportunity to change lives immediately. Africa is so poor and many places so desolate that a glass of water at a border post, a few dollars for them to chop some wood, giving away extra food and supplies, towing a car, giving away a jerry cans worth of fuel all can make a huge difference in a small village. This site will be updated with photos, videos, and stories from the road, but will begin with the process of outfitting the truck, as well as covering the administrative side of our preparations. While these details can be found on the blog, a more organized and user friendly version will be written into each page under the preparation menu. I hope to make this an effective roadmap for anyone else who wishes to venture out on a similar expedition. So sit back and follow the journey of two people driving across two continents to bring some hope to the hopeless, and if you help us, healing to the broken.